Amazon, a site that was once known for selling books and book readers at its outset has become popular for selling just about everything, including smartphones, tablets, and even the PS4. This past week’s Electronics Entertainment Expo (E3) sealed the deal in the minds of many gamers who were on the fence about which game console would be their next prized possession. Microsoft was given the chance to make its announcement first, pulling tighter its restrictions on Xbox One as well as charging more for the game console ($499) than Sony. Sony took to the stage and announced that the PS4 would sell for $399 as well as allow them to use their games offline–without any restrictions on how those games could be used, traded, or resold. It seems that recent reports have surfaced claiming that Sony’s message was well-received, even with console pre-orders. 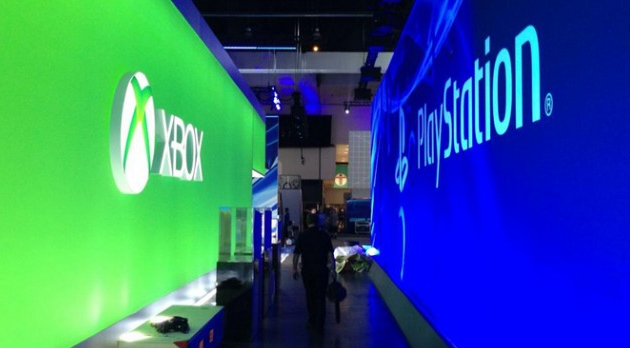 Sony’s PS4 has sold out at Amazon.com, while Microsoft’s Xbox One is still available. There are some interesting reasons behind the PS4’s early victory. One reason that explains why the PS4 sold out and the Xbox One did not has something to do with the price: the PS4 costs $100 less than the Xbox One. Gamers who want to save money to use toward games will happily adopt Sony’s PlayStation 4. Another reason why the PS4 is outselling the Xbox One has to do with Microsoft’s DRM requirements. DRM is short for digital rights management, and Microsoft has said that the company owns the games. By requiring Xbox One users to log in once a day, Microsoft is sending the message that it alone controls the games as well as what users do with them. That is, you have to log in as yourself in order to have access. DRM has another dimension to it: if you want to trade games, you will only get to trade games once. That is, Microsoft will not allow further trading once a game has passed from the original buyer to a secondhand buyer. Some tech analysts believe that Microsoft’s new restricted policies may open the door for consumer digital rights, seeing that Microsoft has a right to change its own rules without any regard for its current consumer base. Microsoft seems to live under the same philosophy as Apple: that is, consumers rent their devices, not own them. Where Apple differs, however, is that once a person purchases an app, it is theirs to own and they can download it to all their devices. This is not the case with games in the cloud for Microsoft’s Xbox One. What are your thoughts on the two devices, and which one are you buying? Sound off in the comments.